In the Building industry there is different materials used all the time for different jobs. But when it comes to the main structure of a house or other buildings the choices boil down to basically, Brick, Timber and steel frames. All are good and all have their advantages and disadvantages. We thought it may be worth having another look at the advantages of Steel frames. The old saying ‘brick is best’ is becoming exactly that… old. So let’s take a closer look at what steel can provide when building your new one or two storey home. You may or may not have had a pest service at your house before, and generally they will try and sell you the termite protection, which is not cheap. Well with steel frames, your house is 100% termite and borer proof. This also means there are no chemicals used to try and protect your steel house from pests as well. 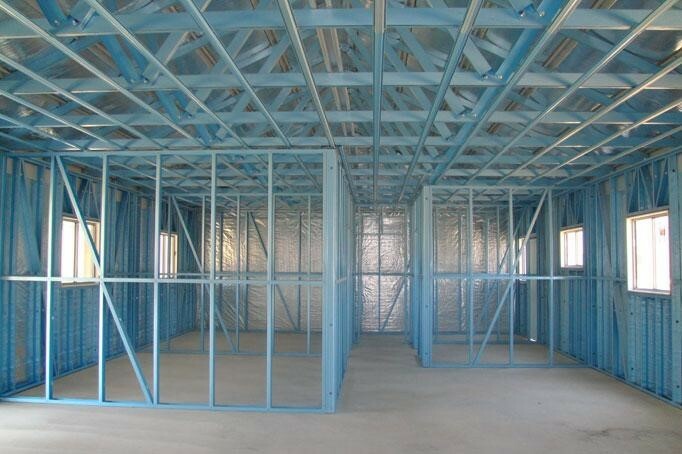 When wall frames and roof frames are made with steel they are engineered and fabricated to be straight and honest. There is no bend or warp when it gets hot on site and there is no swelling when it gets wet (like timber). This also minimises the chance of future problems like cracking cornices and sticking windows, problems which occur in both single and two storey homes in Mandurah & Perth & Australia wide.